This is one of several pages of vintage images for the image category Around The House. 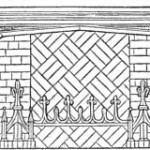 Black and white drawing of a Gothic style fireplace. Vintage feather duster being used to dust woodwork. 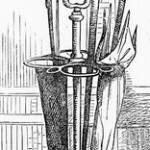 Vintage, copyright free drawing of an umbrella stand. Black and white line drawing of a dust pan and brush.